​The Sanctuary Suite is located on a nice quiet street in a walking neighborhood. It is around the corner to Tiguex Park and the museums that surround the park. Both Old Town Plaza and the surrounding neighborhood have restaurants, microbreweries, bakeries, and shops and galleries offering unique New Mexican shopping experiences. This neighborhood is also close to the Albuquerque Biological Park-- the botanical gardens, the zoo, and the aquarium-- and the walking and bicycle paths along Rio Grande River. Stroll the Plaza, dine at our many restaurants, stay in our Hotels and Bed & Breakfasts, visit our museums, take a guided tour or shop at over 150 stores and galleries for unique gifts from the Southwest and around the world. Quiet hidden patios, winding brick paths, gardens and balconies are waiting to be discovered! ​​Institutions devoted to the acquisition, conservation, study, exhibition, and educational interpretation of objects having scientific, historical, or artistic value. 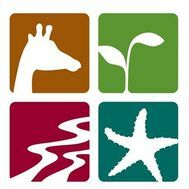 ​Enjoy fun, educational experiences at the Zoo, Botanic Garden, Tingley Beach, and Aquarium. The ABQ BioPark is creating an enhanced experience for both our residents and human guests. Get updated information on habitat closures and construction progress here. ​A trip on the Sandia Peak Aerial Tramway transports you above deep canyons and breathtaking terrain a distance of 2.7 miles. See some of nature’s more dramatic beauty unfold before you.